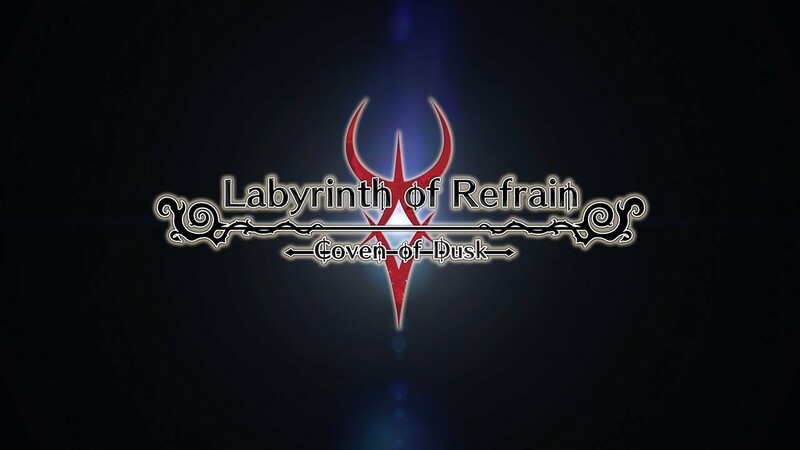 In a far-off land, deep beneath the mysterious town of Refrain, lies an unexplored underground labyrinth. This is the story of a faraway world, where faint traces of magic still linger. A world called Tanis. The mysterious town of Refrain resides there. Deep beneath that isolated and forsaken town lies an unexplored underground labyrinth. Nobody knows who built it, or when it was built. Some say it holds treasures that could control the world, treasures that could make one immortal, and a slumbering demon king whose awakening could end the world. But no one knows for certain. What is known is that the labyrinth is filled with cursed miasma, a substance that brings death to any human it touches. One day, a witch arrived at Refrain with the intention of exploring this labyrinth. Her name was Dusk Witch Dronya. Our story begins in this forsaken place. The quiet town of Refrain is located due west of the royal capital. One must cross three separate mountain ranges to reach it. For this reason, the town rarely receives outsiders. In the past, visitors would travel far and wide to Refrain, having heard rumors of its underground labyrinth. But as the labyrinth continued to prove too daunting to be conquered, visitors to the town became more scarce, until they stopped coming altogether. The labyrinth is situated at the bottom of a well in the town square in Refrain's west district. Rumor has it that the labyrinth is overflowing with treasure, but no one knows for certain. A deadly miasma permeates the ground beneath Refrain, and 568 people are confirmed to have died while exploring the labyrinth. Even the labyrinth's sole survivor eventually succumbed to the effects of miasma exposure. When a witch creates puppet soldiers, she places them in a group called a coven. Several covens can be placed in an even larger group called a witch brigade. Puppet soldiers are considered Manania. When exposed to the high concentrations of magic found in the labyrinth, these inert dolls spring to life as fully-formed, sentient beings. A beautiful raven-haired witch, cloaked in black robes. Dronya serves the king as a court witch, and is called the Dusk Witch due to her brilliant red-and-blue eyes. She is also known by another name: Baba Yaga. "Explore the mysterious labyrinth and bring back rare magical items... That is what you want, yes?" Dronya's young apprentice and traveling companion. An upbeat, excitable child who is easily moved to tears and laughter, often alternating between the two. Despite her young age, Luca can perform a variety of household tasks, such as cooking, cleaning, shopping, and doing laundry. A legendary book, scribed by the only man to uncover the secrets of the labyrinth and survive. As the player, your soul has been sealed in this book. A silver-haired young man who keeps a sword at his waist. Neldo is a trained warrior who specializes in sword techniques. He disapproves of Dronya's exploration and eventually emerges from the labyrinth to confront her about it. Acting governor of Refrain and chairman of the Petrone Company, the largest market in town. It was Petrone who sent for the Great Witch, Baba Yaga, to investigate the Labyrinth. A butler in service to the Petrone Company. Polite, professional, and respectful in all his interactions with others. For this reason, he is perhaps too accommodating when demands are made of him. Wealthy heiress of the Flandre Company, the second-largest business in Refrain. The people of Refrain hold her in high esteem and address her Lady Juliet as a sign of respect. She is never seen without her signature blue-and-white parasol. A chipper, outspoken young woman who works at the bakery. Her passon for bread is second to none, and she wakes up bright and early every morning to prepare fresh loaves for the day. It bothers her when people think she's older than she really is. A master craftsman whose dextrous hands belie his enormous frame. As a man of few words, his apprentice Fritz does all the talking for him. Despite his appearance, he is actually quite fond of children. A young boy, not much older than Luca, who works at the craftwork shop. He can be a little bratty, but he works day and night under his mentor, Nemto, so that he can become a proud craftsman himself one day. A one-eyed nun who resides in the town abbey. She lives a modest life of frugality, with potatoes serving as her main food source. Despite being a servant of God she will indulge in some vices, such as eating meat and drinking wine, should the opportunity present itself. Crit rate +50 when attacking with a lance. Survive fatal damage with 1 HP, one-time only. Enemy attacks more likely to miss. 50% chance to strike with both weapons. Doubles all Rapport gains and losses. When equipped with a bell, recover 3% max HP each turn and 20% max HP at the end of battle. Recover 5% max HP when using the Defend/Fortify Coven command. 10% chance to intercept enemy attacks. Increases to 15% for each katar equipped. These donum masters are useful in nearly any formation. Their skills can amplify a coven's donum damage and reduce its DP consumption, and they can inflict Flame, Fog, and Mud elemental damage with their enchanted lampposts. Increases donum damage by 20%. Stacks with other party members. Reduces coven's DP consumption by 25%. Increases action speed by 75% and accuracy by 25% while equipped with a crossbow. A genderless puppet soldier with a weak connection to the soul housed in its body. As a result, it has an unsettling, inhuman aura compared to other puppet soldiers. Incapable of feeling fear, it pours every ounce of its formidable strength into each mighty swing of its hammer. Increases the likelihood of inflicting a Critical Gore. Increases critical damage with S+ proficiency weapons, but damages your rapport with others. The result of an experiment to create a facet that could fight most effectively with scythes. Her defense is extremely low due to being a prototype, requiring her to fight with advanced techniques. 12% chance to attack an enemy group four times while equipped with scythes. Increases ATK by "Number of Missing Parts ✕ 1". 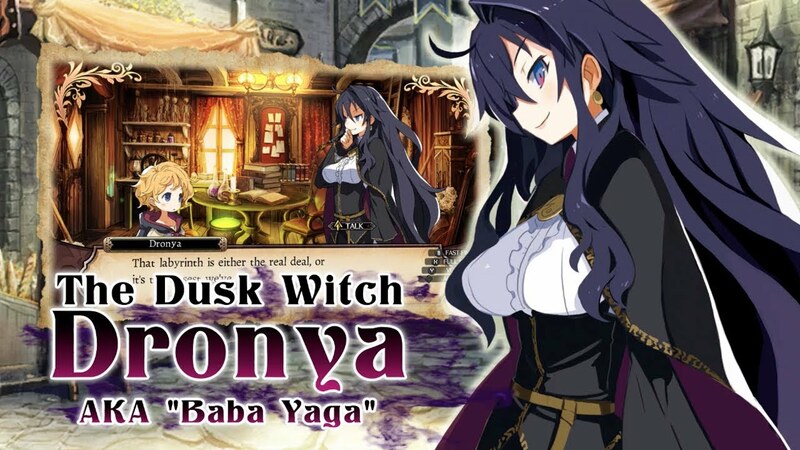 As the Tractatus de Monstrum, a legendary book owned by the witch Dronya, you are tasked with exploring the labyrinth of Refrain on her behalf. Since you are just a mere book, you must rely on the many puppet soldiers that you can bring into the labyrinth to fight for you. Each puppet soldier is handcrafted by Luca and has different battle skills. 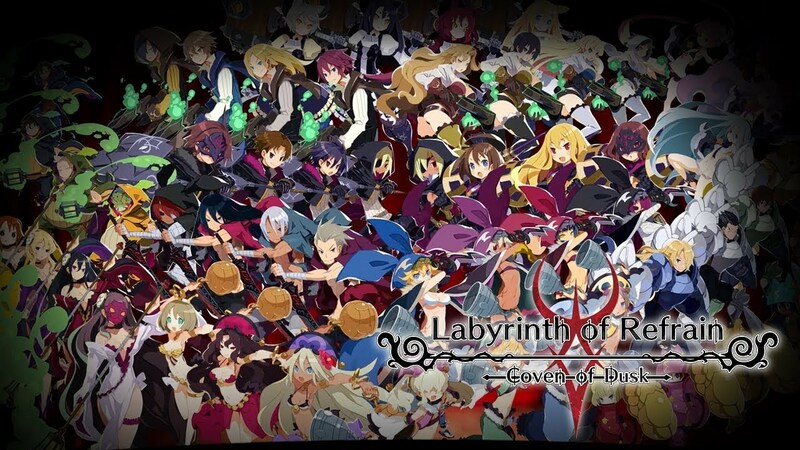 In Labyrinth of Refrain: Coven of Dusk, players will explore the labyrinth while commanding characters arranged in groups called covens. A single coven can contain multiple puppet soldiers. Each soldier's power and skills affect the performance of the coven as a whole. Battles consist of multiple covens attacking and defending themselves from enemies. The labyrinth itself is a 3D dungeon that the player will explore from a first-person perspective. On the map, enemies are represented by symbols. Coming into contact with these symbols will trigger a battle. During battles, you will command up to five covens. Battles will progress by sending your covens to attack enemies. 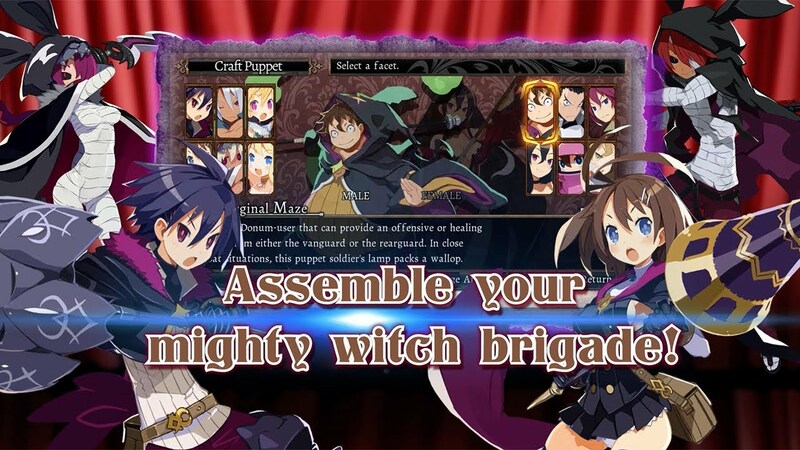 You can perform attacks with all the Attackers assigned to your covens, unleash different special abilities, and arrange your covens in variety of formations to gain the advantage in battle. Only three characters in each coven can directly participate in battle. But depending on the coven, up to eight characters can be assigned to a single coven. 5 Covens ✕ 8 Characters = A maximum of 40 characters that can participate in battle. This is the true power of the witch brigade. During battle, you have many options for dealing with enemies. You can unleash unique magical abilities called donum, order your puppet soldiers to perform combination attacks, inflict Critical Gore on enemies by destroying their weak points, and arrange your covens in formations to received combat advantages. Your orders will make the difference between victory and defeat. Each puppet soldier's personality affects their rapport with one another, so it's important that you continually refine your strategy. Special abilities that can be used by each coven. Some donum can inflict large amounts of damage to enemies, while other donum can inflict status ailments, enhance abilities, and provide healing. Each soul pact used to form a coven has different donum available to use. Some donum have specific requirements before they can be used, such as "sacrifice an ally" or "deal the finishing blow to an enemy." When covens unleash their donum, a explosive phenomenon known as a Donum Echo may occur. Donum Echoes have a rare chance of occurring when two or more donum are unleashed in succession. When they occur, a portion of the power source meter will be consume to increase the donum's power. Donum Echoes can be triggered by any donum used by an ally or an enemy, and each donum grows in power with each successive echo. However, keep in mind that Donum Echoes will increase the damage you may receive from enemy donum, so take care not to use donum too often. If a critical hit occurs when attacking an enemy, there is a chance that it will destroy a vital part of the enemy's body. This is known as a Critical Gore, and the enemy's stats will severely decrease depending on the destroyed part. Focusing on critical hits to gain the upper hand in battle is a good strategy, as there are many ways for a coven to generate critical hits. However, allies can also experience a Critical Gore and have their parts destroyed. Furthermore, if an ally's head is destroyed, they will be incapacitated until they can be repaired. Your covens fight in a single formation that is split into a vanguard and rearguard. Covens can assume different types of formations, each of which produce different effects. The All-out Attack formation puts all covens in the vanguard. The Pincer formation puts the left and right covens in the vanguard, and the center covens in the rearguard. The Convoy formation puts all covens in the rearguard. As the Tractatus de Monstrum, the player has access to unique skills that can indirectly impact battles. By using the skills Offense Force and Defense Force, you can increase a puppet soldier's attack and defense for a short time. There are other skills besides Offense Force and Defense Force, including one that increases the amount of EXP earned after battle. During battle, the power source meter will slowly fill as your covens attack and perform other actions. The more it fills, the more likely it is for Attack Resonances and Donum Echoes to occur. Up to 5 covens can be used at a time. Depending on the amount of puppet soldiers at your disposal and the skills they've learned, battles can be carried out in a number of ways. To form a coven, you will need puppet soldiers and a Soul Pact. Soul Pacts are used to assign your puppet soldiers to a coven. The Soul Pact will determine the properties of the formed coven. These details include the total number of puppet soldiers the coven can contain, their roles within the coven, and the special effects granted to each role. There are many types of Soul Pacts that the player can obtain by advancing the story, defeating enemies, or opening treasure chests inside the labyrinth. A puppet soldier can play the role of Attacker or Supporter depending on the slot in the Soul Pact they've been assigned to. Attackers will actively participate in battles against enemies. Supporters will passively assist the coven's Attackers during battle. Each Soul Pact will vary but you can have up to 3 Attackers and 5 Supporters for a maximum of 8 puppet soldiers in one coven. Each slot in the Soul Pact used to form a coven has different effects based on the roles assigned to those slots. Slots that have an Attacker role assigned to them will provide attack-enhancing effects, while slots that have a Supporter role assigned to them will provide effects that support and assist the coven as a whole. Some slots have specific requirements before a puppet soldier can be assigned to them. As a soul contained in the fabled Tractatus de Monstrum, you must use the witch's puppet soldiers to advance the story. Puppet soldiers can be created at the Puppet Workbench. This is also where you repair any permanent damage your puppets have incurred, such as missing limbs. A puppet soldier's parameters are based on the specific facet you choose for them. Facets are like a job class, and each one has different strengths and weaknesses. For example, the Mad Raptor facet specializes in using crossbows to perform long-range attacks. The Peer Fortress specializes in using shield katars and learns skills to protect other members of the witch brigade. Decide which facets to use and create the most optimal team of puppet soldiers to suit your personal playstyle. ...Choose the puppet soldier's appearance. ...Affects the stats the puppet soldier receives from equipment, its rapport with other puppet soldiers, and how its fights. ...Choose a voice for the puppet soldier. ...Choose how the puppet soldier's stats increase as it levels up. ...Emphasizes whether the puppet soldier has an offensive or defensive role in battle. ...Choose a starting skill based on the facet you've chosen for the puppet soldier. ...Write whatever you want here. Useful for organization and record-keeping. A puppet soldier's stats will increase as it levels up, but the stat growth you choose when creating the puppet soldier will affect how those stats increase. Two puppet soldiers with the same level, facet, nature, stance, and skills can have drastically different stat spreads depending their stat growth. In this way, you can create characters such that no two will be exactly alike. Some items, such as healing items and puppet parts, can be bought at the market in Refrain. But weapons and armor need to be found inside the labyrinth. At the caravan, you can use the alchemy pot to disassemble and synthesize equipment. In doing so, you can create even stronger weapons and armor. You can use the alchemy pot to enhance all eight weapon types and shields, as well as head, body, and foot equipment. Up to eight items can be used as components when synthesizing an item. On top of that, you can even use the resulting item as a component for another item if you so wish. Depending on the stats and rarity of the items used in alchemical synthesis, the resulting item will be much better. Items can be disassembled to receive mana. Mana is an important resource that is used to repair damaged puppet soldiers and utilize the facilities within the caravan. While in the labyrinth, you may come across items that contain a soul. These items are known as artifacts. Through alchemical disassembly you can extract the soul from an artifact and use it to create a new puppet soldier. Occasionally you will find sealed items inside the labyrinth. While a puppet soldier can receive a partial benefit from equipping a sealed item, returning to the caravan to perform the Unsealing Ritual will unleash its true potential. Once a puppet soldier equips a sealed item, you can no longer perform the Unsealing Ritual on it, thus sealing away its true potential forever. Equipment can fall under one of 4 categories: Common, Rare, Epic, and Legendary. The rarer the item, the better attributes it will possess, and it will result in better equipment when used for alchemical synthesis. Rare or higher equipment is hard to come by, but collecting as much as you can will help your covens in the long run. By defeating enemies and opening treasure chests, you will receive better equipment that you can use to venture deeper into the labyrinth, where stronger enemies, greater treasures, and even better equipment await. This cycle of defeating enemies to receive equipment so that you can defeat stronger enemies for better equipment is the core Hack & Slash aspect of this game. In addition to creating puppet soldiers and using the alchemy pot, you can also spend mana to have Madam Dronya grant you a Witch Petition. Witch Petitions can give new skills, new battle formations, expanded character creation options, and much more. With this skill, you can designate a point in the labyrinth as a temporary exit, and go back and forth between the labyrinth and the caravan. With this battle support skill, you can temporarily increase a coven's offense and defense for a short time. With this skill, you can shroud yourself in fog, making it more difficult for enemies to detect you as you explore the labyrinth. With this, you can increase the amount of EXP your puppet soldiers receive by stockpiling it for later use. However, if you flee from battle or suffer total defeat, you will lose all the EXP you have stockpiled. This petition will add the Formation system to battles, allowing you to reposition your covens during battle and receive benefits based on the selected formation. You can submit a petition to receive additional natures to choose from when creating new puppet soldiers. This will allow you to create a greater variety of puppets with different equipment proficiencies. This petition will increase the game's difficulty to its hardest level. Enemies will be much stronger and you will gain mana more rapidly. If it's too difficult, you can submit a petition to reduce the difficulty back to normal or make the game even easier. There are lots of people in Refrain who could use your help. Although Dronya doesn't care about them at all, her apprentice Luca will secretly hear their requests and pass them along to you. Select "Apprentice Notes" to see the different requests from Refrain's townsfolk. Completing these requests can results in valuable rewards. Many of the items required to fulfill these requests can be found inside the labyrinth. By helping Refrain's townsfolk you can receive all kinds of different items, including Soul Pacts and high-quality equipment, which will benefit your expedition greatly.